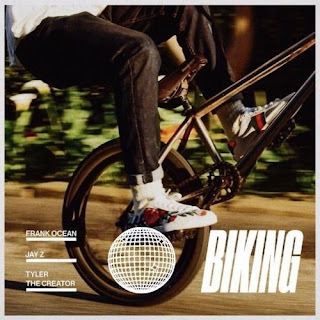 Great White DJ: "Biking, I'm Biking, I'm Biking Slow-Mo"
Hope y'all are ready because this whole Frank Ocean comeback is now in fully effect. We got a few warning shots with his recent Calvin Harris track and his latest buzzy single Chanel. As a side note, neither of those tracks moved the needle much for me, but Biking is heading the right direction.